Trainer Steve Tregea believes a trip to Sydney has helped Prioritise develop into his biggest money earner after a Doomben win. A trip to Sydney has sparked Prioritise into some performances which have amazed even his trainer Steve Tregea . Prioritise ($3.60) led most of the way to beat the fast finishing Jaminzah ($15) by 1-3/4 lengths with a length to Glendara ($81) in third place in the Kestrel Solution Handicap (1600m) at Doomben. Tregea said Prioritise, who took his prize money to $350,000, had now won more than any horse he had trained. A Darling Downs-based owner-breeder-trainer, Tregea said Prioritise had turned the corner since a trip to Sydney in August. "He really has toughened He is a stronger horse. If I had said 12 months ago he would be my biggest earner one day you would have laughed at me," Tregea said. "He has amazed me with the way he has been racing." Prioritise was scratched at the barrier last week when being tried for the first time over 2000m. "Prioritise lashed out but he came through it well and they put him in last today which helped," Tregea said. "If I can find the right race I would like to give him a go at 2000 metres." 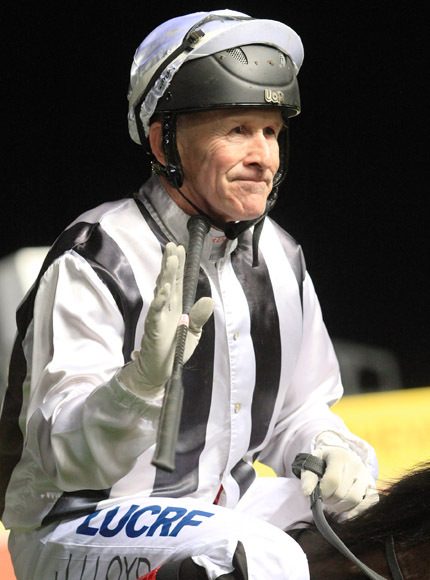 Meanwhile, Jockey J Lloyd didn't let a hiccup in his spring plans worry him when he produced a daring ride to win on Stella Victoria and give trainer Robert Heathcote a birthday double. Lloyd was suspended for eight days, starting on September after winning on Starkers at Ipswich on Friday. Heathcote, who turned 59 on Saturday, said Stella Victoria would have a start in a Class 6 in two weeks time and then be prepared for stakes races during the Brisbane summer. "We didn't think there would be much pace in the race and we decided to lead. There is no better man on a leader than Jeff," Heathcote said.